Chris & Kelly Watkins Want an Awesome Life for You! Dianetics® addresses and handles the effects of the spirit on the body and can alleviate such things as unwanted sensations and emotions, accidents, injuries and psychosomatic illnesses (ones that are caused by mental stress). 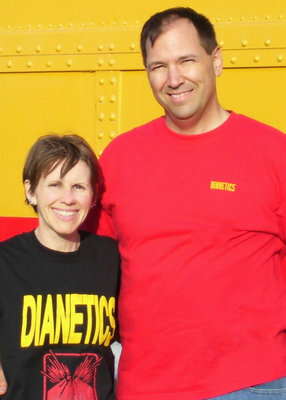 Dianetics means “through the soul” (from Greek dia, through, and nous, soul). It is further defined as “what the soul is doing to the body.” It’s all about how to make your life awesome. Uncomfortable in my own skin, afraid of everyone and everything. Afraid to move forward. Afraid of the future. Misery was my world. My thin mattress on a floor of a room I rented in a house with strangers. My boyfriend had broken up with me for the last time. The thought of another suicide attempt occupied my mind. Only binge eating or alcohol allowed me to escape momentarily until I was sober again and then the self-loathing would return twice as hard. “No one cares. No one loves me,” was what I would always tell myself. “Love yourself” was the reply I always got back. But how do you love yourself when you are convinced that you are ugly, fat and worthless? Washing the sleeping pills down with bottles of beer, driving to my destination suicide spot, the river, in the middle of the night, I intended to drown and get rid of all my misery. Falling asleep at that suicide attempt helped me fail to kill myself. I battled with depression most of my life. From time to time I swung back at this demon, depression, with self-help books, counselors, philosophy and different religions. The pain would move away temporarily, but the cloud of doom and gloom would always follow me and creep back. 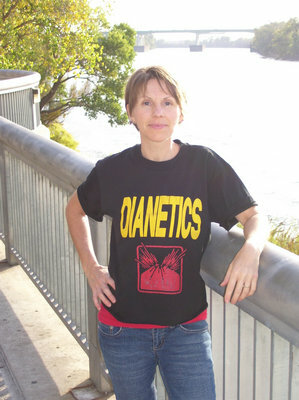 At an outdoor market I bought the book, Dianetics. I said, “What do I have to lose?” Dianetics was so positive and powerful it was like smelling salts or some medicine you take to make you throw-up poison. I wanted to reject this force of good. At first I rebelled at the true data and technology of Dianetics. It was making me live again, like bright lights hitting you in the face when you have been in the dark for so long. The bright light hurts your eyes for a minute, but you soon adjust. 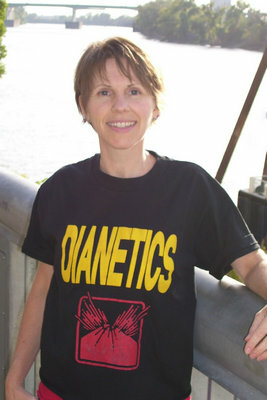 Dianetics got me to move out of the grip of death and into the world of the living. I followed the process – the steps to get rid of my past painful experiences. The friends and people I knew saw me changing for the better and getting stronger. Some, so-called friends, left me. They only felt safe around the weak and depressed person that I was before. 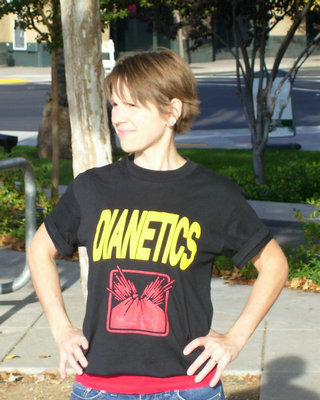 I did not quit Dianetics. I was defeating depression. I could tell these were no friends if they wanted me to stop using Dianetics and stop getting better. As time went on, the poison, baggage and bad experiences were removed from my system with the Dianetics step-by-step process. I finally loved myself. All the negative thoughts I was telling myself were gone. I found out with the self-respect I gained that I deserved to be treated well. So, after I fixed myself, I chose a better mate to be with. One that didn’t tear me down, make me sad or do things to stop me from reaching my goals. This person was good for me. He enhanced my life instead of smashing me down. The person I found was Chris. He had his own set of problems that Dianetics resolved. Before we became a couple, he had a drinking and drug problem. 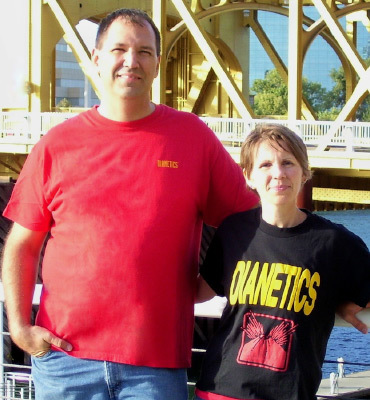 Borrowing the Dianetics book from a fellow soldier in the army when stationed in Germany, he found solutions to his problems. The drinking and drug problems stopped. Gradually moving step-by-step up out of a drugged fog, Chris used the Dianetics technology to become an upstanding, healthy and active member of society. Finally, we got our lives straightened out. We continue to help those that are searching for answers to their problems. 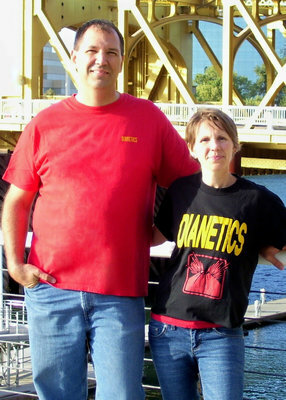 It all started with the book, Dianetics. Depression was my enemy for many years, but I won. I defeated depression, 100% naturally, using no drugs or medication. It is completely gone, never to return. My life has improved in every way. Chris completely and permanently got rid of his drug and alcohol problems. We wish to return this wonderful gift of life and solutions to everyone in the world who will accept it. Join us and make your life awesome today! As time went on, the poison, baggage and bad experiences were removed from my system with the Dianetics step-by-step process. I finally loved myself. For me, personally, my self-confidence has rocketed, my understanding and care for others has improved, my tolerance for my fellow man has increased. It gives you hope and realistic expectation that life doesn’t have to be that difficult, that there is a reason for everything, that problems can be overcome and the life can be fully lived. 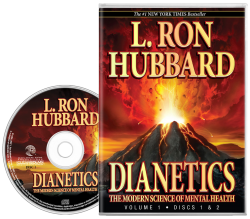 DIANETICS is a trademark and service mark owned by Religious Technology Center and used with its permission.